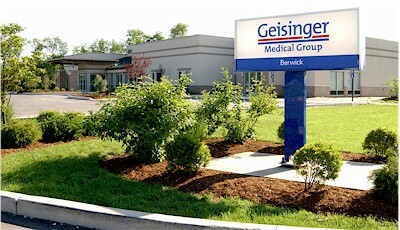 Tuesday & Thursday: 8 a.m. - 7 p.m.
Monday - Thursday: 7 a.m. - 3:45 p.m.
Friday: 7 a.m. - 2:45 p.m.
At Geisinger Berwick, we are dedicated to the health of our growing community. Our physicians - experts in family practice, internal medicine and pediatrics - are here for you and your entire family, from infants through grandparents. One of our physicians is even a leader in diabetes care, having been featured in national news - and he is here for you, close to home and work. We also offer a variety of specialized services on-site as well, including labs, X-ray and rehabilitation. But you'll also find that our commitment to the community extends beyond the office, too. Our staff runs right alongside our neighbors and friends during the Race for Diamonds each Thanksgiving, and participates in the Jaycees' Christmas Boulevard event each year.